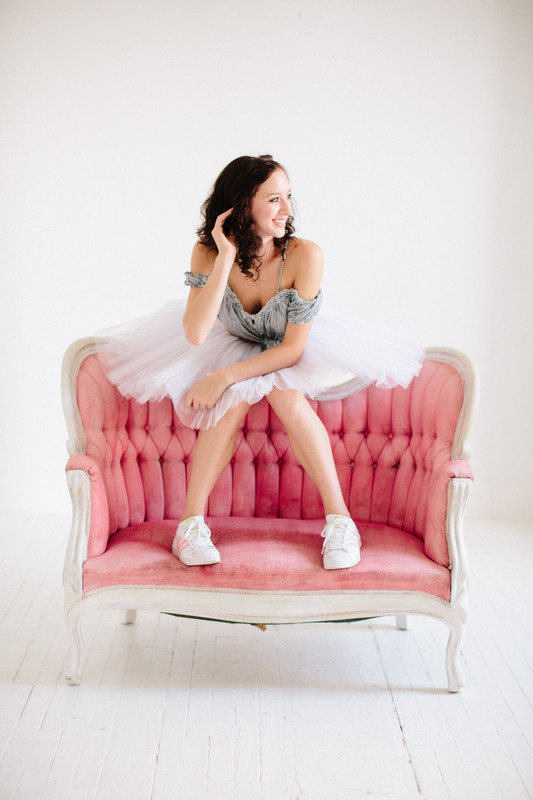 Tommie Kesten’s studio ballet session in the Northside is one to check out for sure! It’s hard to believe I have been working with the talented Tommie for 4 years now! I love that she always comes in with some ideas and I get to photograph her in motion. As I search for my own studio, it’s nice to work in a variety of studios to figure out exactly what I will want and need in my own. Studio 415 was perfect for this dance session. It had a variety of different looks from the brick and hard wood floor to the clean and crisp white look. There is a ton of natural light which is my favorite way to work in the studio. Photographers, if you are looking for a space, this is one to check out for sure! Tommie and her family have been working non stop on their foundation which is memory of her brother, Ty. The 1six foundation hosts various events that raise money for different organizations and causes that Ty truly loved. They also have some super cool merchandise you can purchase to support. I was lucky enough to get to photograph Ty as well and he had a smile that you truly couldn’t forget. Please check out their site here to find out how to get involved!